But Can We Live Like Jack and Sally? I awoke to various yells and pulled the curtains concealing my bunk back. I hopped down to see that all the bunks had been vacated, except for Michael&apos;s. The three boys were sat on the couch facing the flat screen and playing Fifa. 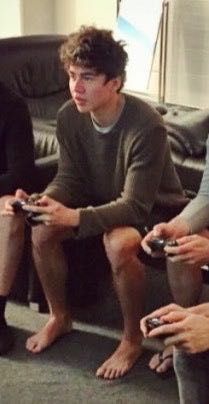 My eyes rested on Calum who was sat in a brown sweater, ruffled morning hair and just his pants on. "NINA!" Ashton greeted, smiling up at me. "Hey." 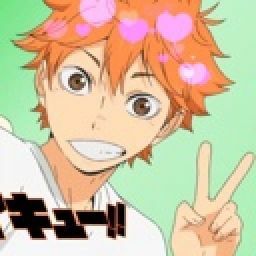 Luke mumbled absentmindedly, concentrating on the game. "Oh sshit Ninna." Calum stuttered flustered, grabbing a near by pillow and using it to cover his general crotch area, causing me to giggle. "Theres no place for me to sit." I stated, pouting. "You can sit on Calum&apos;s lap." Ashton chuckled. Calum hit Ash with the pillow, exposing his crotch and I went straight to Calum and sat on his lap. "Oh, hi." He greeted, sending Ashton a glare. "Hey." I replied, tilting my head up to look at his face. After we sat there awkwardly for a minute, he finally relaxed and held his controller in front of me meaning that his arms had to wrap around my waist. But I didn&apos;t mind. After many games of Fifa later, Calum turned to me and asked. "You wanna go for a walk?" "Sure." I replied. "But you may want to put on some pants." Me and Calum walked around the venue site and we found ourselves at one of the control panels for the stage. "And this button controls the fire." He continued, pointing out the button. "It&apos;s Michael&apos;s favourite, he&apos;s always wants more fire." I smiled in return. "I feel we are dressed pretty informally for this...occasion." "What, oh umm I don-"
"Are you implying that this is a date, Calum Thomas Hood?" I asked, my heart racing. "Umm well I." Calum mumbled, rubbing his neck. He then looked up at me and a smile grew on his lips and he reached for a microphone attached to the control panel. After flicking a switch he spoke into the microphone. "NINA WILL YOU AGREE WITH ME THAT THIS IS A DATE?" 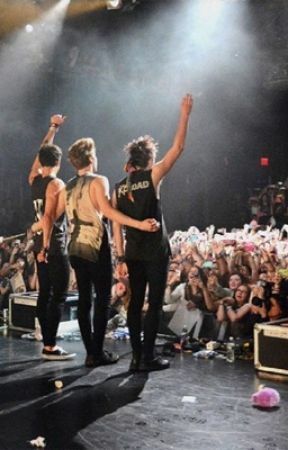 We walked back to the bus hand in hand and I could feel Calum&apos;s hand getting considerably sweatier, as if he was nervous. Cute. "I need to go get ready." He explained, detaching his hand from mine. I nodded my understanding then he tilted my head up and was about to connect his lips to mine when the door to the bus swung open, causing us to break apart. "Calum, we need to get ready." Michael reminded him, yawning, it looked like he hadn&apos;t been sleeping all that time in the bunk. "Yeah, I&apos;m coming." Calum said. "Wait, let me get a picture of you two to put on the website." Michael ordered, even though it sounded like that was the thing he wanted to do the least in the world. "Luke says I need to post more." I was about to object when Calum pulled me into him and he placed his arms over  my shoulders meaning that the back of my head was against his chest. "Oh, wait I left my phone." Michael mumbled. "Stay right there." He continued, bounding back onto the bus. "Michael doesn&apos;t like me much." I stated. "Its okay because I like you plenty." Calum mumbled, as I looked up at his grinning face. He leaned down closer to me then pressed his lips to mine and suddenly I didn&apos;t care about Michael it was just me and Calum.